Don’t we always long for something better, particularly when it comes to our beauty? And not to hide, unwanted body hair is bane in our lives that we remain quite agonized about. We know the hassle everyone has to face in combating this worry if you are not taking any permanent hair removal treatment. So what could be better than a new and improved solution to your hair removal problems? Here we are, after the successful IPL Hair Removal Treatment, bringing you DIODE LASER Treatment at Shumaila’s in Ilford to provide one more effective and efficient Hair Reduction treatment. Yes, this not only sounds good but gives you incredible results of hair-free skin. 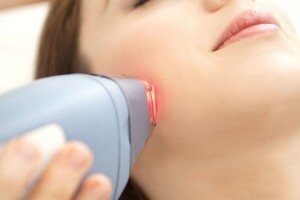 Like IPL, it is also a Permanent Hair Reduction Treatment using Laser. What is Dio de Laser and how it works? Diode Laser is improved pain-free Laser Treatment for skin. It uses laser beam of fixed wavelength which works through hair follicles destroying them giving your permanent Hair Removal Solution. Its focused laser beam is absorbed by hair pigment where it produces heat and damages the hair follicle more efficiently than IPL. Its constant cooled laser head and cooling gel make it more comfortable for the client. It requires you 4-6 sessions for this treatment. Both are permanent solutions, but there exist parity which can help you decide better which treament to go for. Diode Laser being more innovative and advanced than IPL is in demand now. The nature of light emitted from IPL Machine is different from that of Diode Laser Machine. The light of IPL is composed of different wavelengths of light, so the impact is dispersed making it flexible and adjustable to hair and skin color whereas light beam is of fixed wavelength and has optimal effect and adjustments can be made by turning power up and down. The minimum sessions required for IPL are usually between 6-10 while for Diode Laser its less as mentioned above. Laser works for multiple skin types unlike IPL, that is suitable mostly for light skin. A study appeared in the Australasian Journal of Dermatology 2012, showed that Diode Laser scored much lower on pain as compared to IPL and it is also proven that Diode Laser treatment is more effective than IPL. Pain-free: How wonderful it is to get treatment for unwanted hair that causes you almost no-pain as compared to conventional and temporary methods such as waxing, shaving, threading etc. Diode Laser treatment is definitely the one that is pain free with positive results. Permanent Hair Reduction: It is amazingly effective in providing you hair-free skin for longer time period and on permanent basis most efficiently. Its laser beam of fixed wavelength light increases its ability to work with precision and directly targets the hair follicles causing them damage thus inhibiting re-growth. Faster: Because of its focused laser beam, larger areas are covered at one time so it require less sessions to be treated as compared to other Permanent Hair Removal Treatments. Minimal Side Effects: Fantastic it is to get rid of your unwanted hair permanently without any major side effects or injuries, which are most likely to be caused in conventional or temporary hair removal treatments, except for a little redness that disappears quickly. Safer: It protects skin layers from damage through its safer and deeper skin penetration. Following Health, hygiene an safety regulations, we deliver a luxury treatment with advanced Diode Laser equipment and qualified experts. For Laser Hair Removal in Ilford at Shumaila’s, you are advised and consulted by expert before treatment in order to discuss skin type and allergies and then right treatment is recommended. The treatment provided is comfortable and at Best Price. Your skin type, color and hair color matters while calculating number of sessions required and determining type of treatment.